We are gearing up for the sixth annual Replacement Rearing Summer Internship! The intern team has been hired and we are looking for farms to get on the schedule. Replacement rearing is the second largest cost of producing milk but it is also frequently the most overlooked area on the farm. 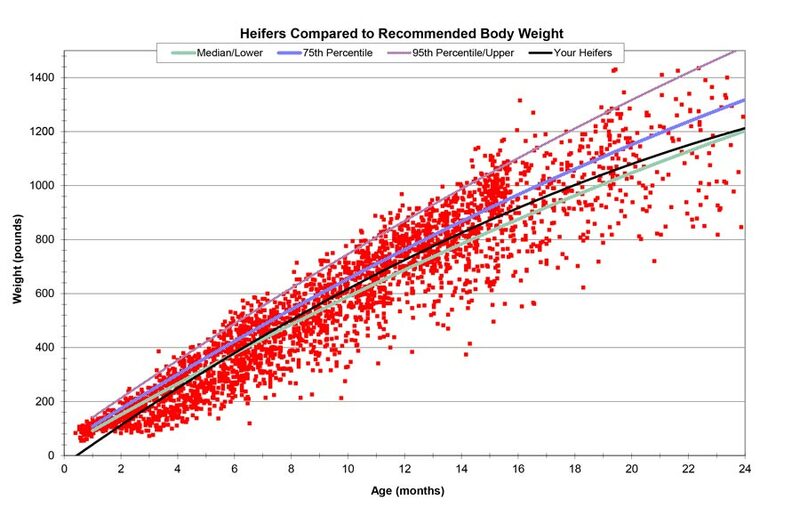 Performance measurements are often not obtained because they are time consuming, labor intensive and require the physical handling of the cattle for weight and height measurements. So let us do the work for you! Our goal is to help you assess the efficiency of the replacement rearing program on your farm. Our intern team will come and do the work for you, processing your heifers and taking weight, hip width and wither height measurements. During the visit, we will gather financial information to assess the costs for raising the individual replacement animal on your farm and analyze production records to obtain a farm wide assessment of your replacement rearing program cost and efficiency. All the material will be processed and presented to you by our team at a follow up visit. Obviously, all the information gathered is strictly confidential! We are offering to collect samples for genomic testing again this year! We will take a tissue sample, a simple ear notch, on the desired animals to send them in for testing. There will be some costs involved with the genomic testing, ranging from about $26.00 – $79.00. If you are interested in this service, you will receive a coupon (good for one test up to a $42.00 value) to cover the first test. In the past five years, we have processed over 16,000 heifers on over 50 different farms! The group of students we have hired will bring a lot of experience and knowledge to our team and they are eager to start. We are getting very excited for this summer and hope you will take advantage of this service. Please contact Shelby Hull, the office, or your Witmer’s dairy representative to get signed up. We are looking forward to working with you!